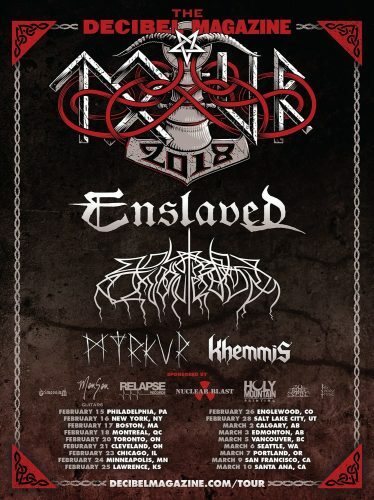 Whether you consider yourself a fan or not, it’s impossible to deny the status and reverence Enslaved has earned within the community of heavy music. 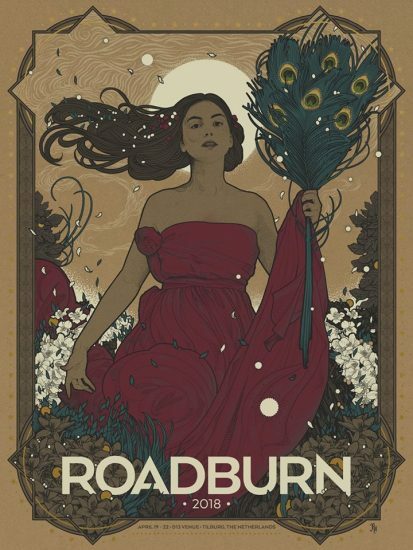 Over a span of 27-years and 14 studio albums – barring live-show DVD’s, splits, and demos – it’s hard to imagine any band as capable as this one in maintaining a passionate fan base and consistently sold-out live performances. 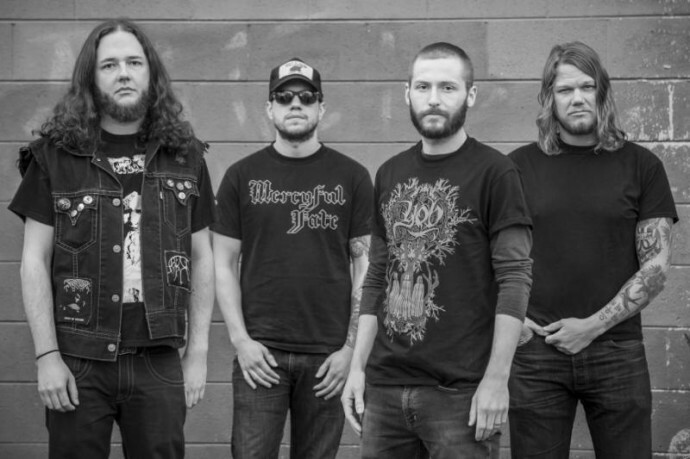 The rise of Denver’s Khemmis into the upper echelons of doom has been nothing short of meteoric, thanks in large part to the enormous appeal of their 2015 debut album Absolution. Since that album’s release, Khemmis have confronted what always comes with stellar debuts — the pressures and perils of high expectations by fans for a follow-on album. 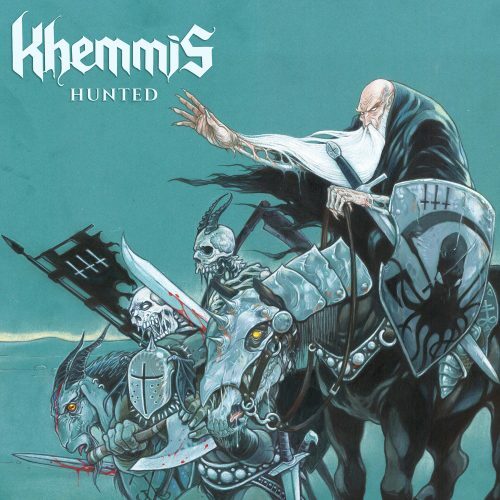 In two short weeks, that testing time will arrive as 20 Buck Spin releases the second Khemmis album, Hunted. By one measure, Hunted has already met and exceeded expectations — Sam Turner has again created one hell of a metal album cover, with the Khemmis wizard on an armored steed, flanked by death dealers you wouldn’t want to meet in a dark alley. 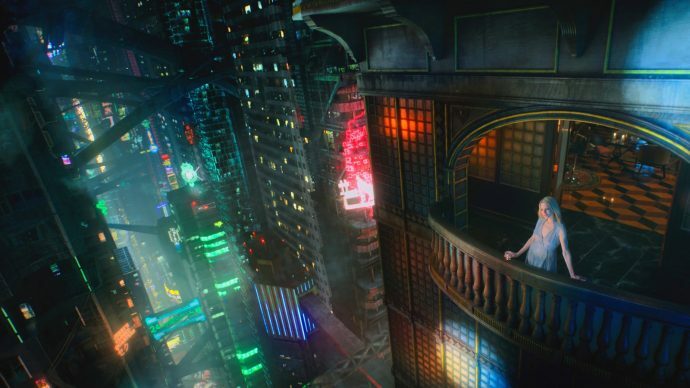 As it turns out, the music meets and exceeds expectations, too. 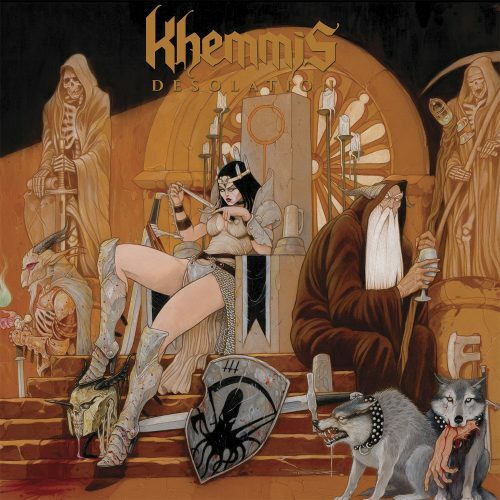 I don’t have a crystal ball, just some experience and a willingness to make guesses, but my prediction is that with a little word of mouth and the increasing exposure of their music, Denver-based Khemmis are going to blow up. They’re excellent songwriters, they’re accomplished musicians, they pour their souls into their music — and their music is righteous. They also have a tube-assisted wizard for a mascot.